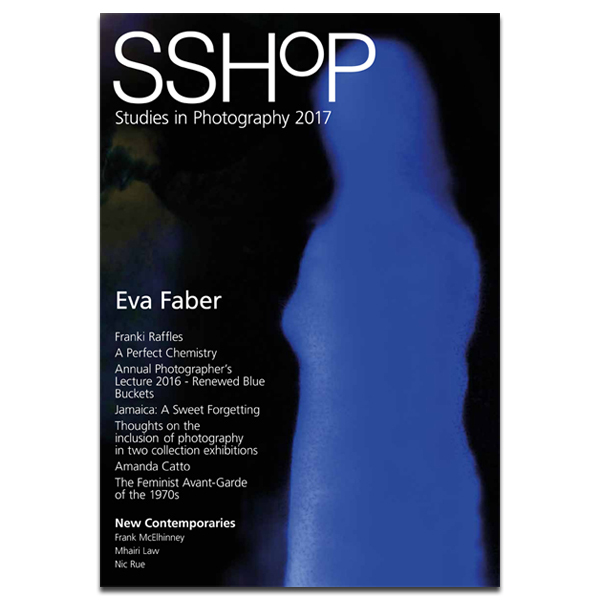 The latest edition of the Studies in Photography 2017 Journal (Edition I) has contributions from two of the most distinguished contemporary writers: the acclaimed author Michel Faber writes about photographs by his late wife, Eva Faber, and James Robertson selects an image for the feature, ‘Writer’s Choice’. This issue also includes Peter Fraser in conversation with David Campany: David Williams’ thoughts on William Egglestone; an extract from the newly-published exhibition catalogue on Hill and Adamson by Anne Lyden, International Photography Curator from the National Galleries of Scotland; a review by David Eustace of the Tate Gallery’s exhibition of highlights from the Elton John Collection, and an exclusive interview with Amanda Catto of Creative Scotland. The journal can also be bought from the National Galleries Shop online.